Recently I became aware that I was behaving in a way that was disruptive to those around me. I was being my normal, multi-tasking self. Which means, essentially, I was in a meeting, answering emails, addressing people who popped into the meeting momentarily for a “quick solution” to something. Someone in our office coined this “pop-in” behavior as the “drive-by meeting”. I was embracing distraction, thinking that my brain, experience and position allowed me to juggle and address many issues simultaneously. What was I thinking? Remember when you were in grade school and they taught you the “cocktail party phenomenon”? It went something like this: imagine you’re attending a cocktail party. There are groups of people throughout the room, all having different conversations. The group you’re with is having its own discussion. Since everyone is talking about different things, how many conversations can you focus on at once? The answer is “one” and “only one”. This is simply how our brain is wired. While you’re able to do several things simultaneously – i.e., breathe, blink, walk and talk – you can only concentrate on one conscious thought at a time. Your brain quickly processes and rockets from one thought to the next, so fast in fact, it creates the illusion that you address more than one idea at a time. Your subconscious deals with problems, aspirations, holds memories and serves up solutions on a fast moving conveyor belt. All one at a time. 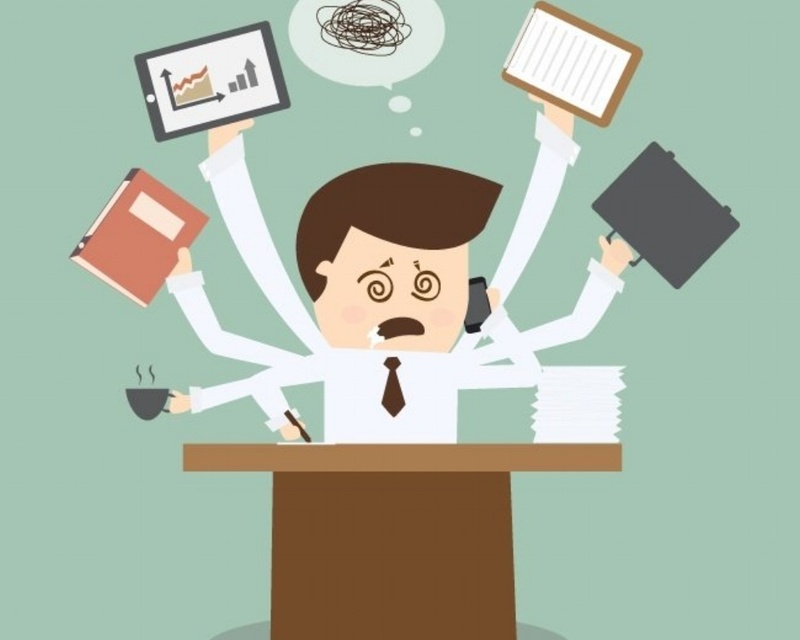 Your brain may juggle, but it doesn’t multitask. Let’s put that rumor to death. Back to listening, there are two different types. Passive listening: This is what we do when we perceive things, noises, music and even voices, but pay little to no attention. When we multitask during a conversation, it’s impossible to be fully engaged. Today, nearly every business meeting encourages passive listening. With so much to do, and the ability to access smart devices anywhere and at any time, we get a free pass for not paying full attention. Truth is, passive listening is disrespectful and inefficient. And it doesn’t matter if you own the company or fancy yourself a multitasker. You’re not operating at peak efficiency. Believe me, I was the king of pretending to listen in meetings. All the while I was answering emails, calls, allowing interruptions and forming my response before the speaker was finished: the most common and destructive form of passive listening. By allowing your internal dialog to supersede the speaker’s words, you are jumping the gun and likely missing some critical details. You’re making assumptions that often lead to uninformed decisions. The irony is that passive listening can actually cost you time and money. Active listening (the antidote for passive listening): This takes place when you fully engage and focus on the conversation, patiently wait to hear all the details and make no presumptions. It starts by quieting that internal dialog, concentrating on all the details before formulating your answer. I won’t lie, active listening is tough at first. The good news is, the more you practice, the easier it gets. The better news is, active listening creates a culture of trust and respect. So use your ears, quiet your mind and put away all distractions. Listen. It really does pay to pay attention.